Official book blurb: Lara Blaine believes that she can hide from her past by clinging to a rigid routine of work and exercise. She endures her self-imposed isolation until a cancer diagnosis cracks her hard exterior. Lara’s journey through cancer treatment should be the worst year of her life. Instead, it is the year that she learns how to live. She befriends Jane, another cancer patient who teaches her how to be powerful even in the face of death. Accepting help from the people around her allows Lara to confront the past and discover that she is not alone in the world. With the support of her new friends, Lara gains the courage to love and embrace life. Like climbing the Eiffel Tower, the year Lara meets Jane is tough, painful, and totally worth it. My Thoughts: This was an appropriate month (National Cancer Awareness Month) to release this lovely and emotional story. Elizabeth Hein herself has had the unfortunate experience of having cancer. As a writer and storyteller she was able to capture in writing the fear, terror and pain that comes to bear on the individual, their family and friends. I have never known personally someone who was going through cancer treatment, so this book was also very informative to me without taking from the story itself. Lara had been sexually abused for years by her step-father. She had run away from him and had started a new life for herself. Even with her legally changed name, she continued to look over her shoulder. She lived in an apartment complex very scantily furnished, with a duffle bag packed and ready to run if her step-father ever found her. Lara Blaine lived her life in fear. She spent most of her life either at work or at the gym. In both areas she excelled. Lara was very smart and had a knack in market analysis. While she excelled in her work, her boss took all the credit. Lara didn’t mind, she wasn’t looking to be promoted and her boss would share the bonus she was rewarded. She’d go to the gym to work out strenuously and hoped this would help her with the nightmares she had almost every night. Lara didn’t want to have to rely on anyone. She was a woman, with very little self-worth, who just wanted to blend into the background. She also had difficulty being touched by someone because of her past. She dare not trust anyone with her secrets. She knew they would blame her for what happened to her and avoid her even more. Then Lara and Jane met at the hospital. They were two very lonely women, battling cancer without friends or family. Jane had lung cancer and Lara had cervical cancer. They both struggle with the reality of it, however the relationship between the two women is very supportive. Lara had never had a friend and didn’t know how to be one, but with Jane’s warm and caring nature, a friendship blossomed that gave them both comfort. We get to know Lara at work, her life there and how her treatments affect her work. Lara didn’t want her boss to know she had cancer so she continued working even when she should have been resting at home. When her boss saw her sleeping at her desk, she thought she was on drugs and reported it to human resources. I found myself cheering when Lara received solace and kindness where least expected. This was difficult for her to understand why they should be so nice. She, responding positively, found she had friends after all. By the end of the story Lara no longer defines herself by tormented childhood memories and the harshness of having cancer. She found help with her new-found friends and in turn learned how to reach out to others in need. Elizabeth Hein wrote a very moving, suspenseful story with a message loud and clear. People who are diagnosed with cancer or are struggling with other difficulties in their lives need family and friends. They are the people who help them get through the terrible ordeal. I recommend this read for readers who love inspirational reads or who might wish to understand better what a cancer patient deals with. 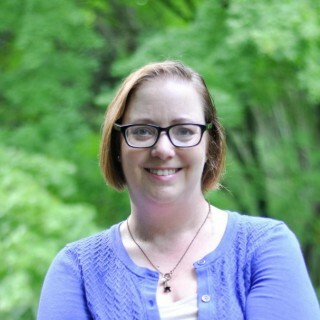 A bout the Author: Elizabeth Hein grew up in Massachusetts within an extended family of storytellers. In 2002, Elizabeth was diagnosed with Hodgkin’s Lymphoma, a cancer of the blood. During her extensive treatment, she met dozens of other cancer patients and developed close relationships with several of them. These friendships were the inspiration for How To Climb The Eiffel Tower. She learned that a cancer diagnosis is a life changing experience, yet it does not necessarily change a life for the worse. Prior to the new book’s publication, Elizabeth was invited to attend the Southern Independent Booksellers Alliance (SIBA) conference and has received excellent advanced reviews on her break-out new book. Elizabeth Hein writes women’s fiction with a bit of an edge. Her novels explore the role of friendship in the lives of adult women and themes of identity. Her first novel, Overlook, spotlighted a housewife dealing with a cheating husband and the pressures of keeping up appearances. Elizabeth has published several short stories and is currently writing a novella and beginning to write a historical family saga about how love and identity effect four generations of women. She and her husband now live in Durham, North Carolina. 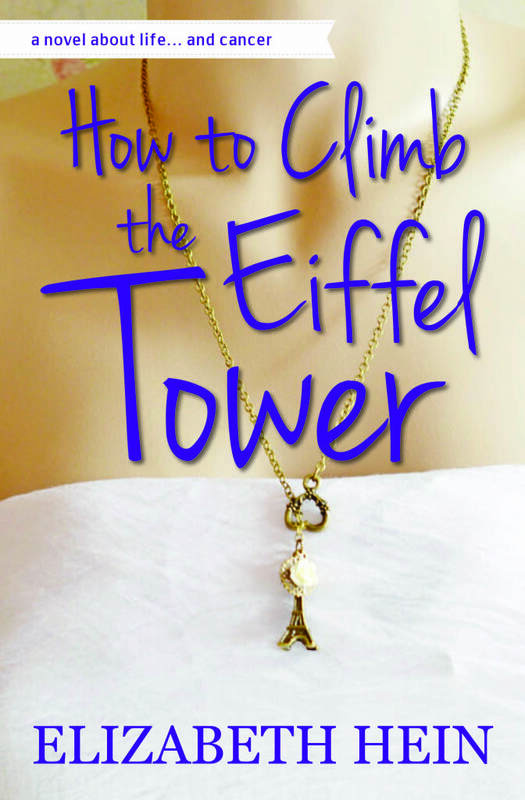 This entry was posted in Book Reviews, New Book Release, Real-Life Fiction, Women's Fiction and tagged Cervical Cancer, Chemo Therapy, Elizabeth Hein, How to Climb the Eiffel Tower, Lung Cancer, Radiation, Sexually Abused Women. Bookmark the permalink.